Since it is opening day of Cardinal baseball, I figured that I would treat myself to a special meal for the game. 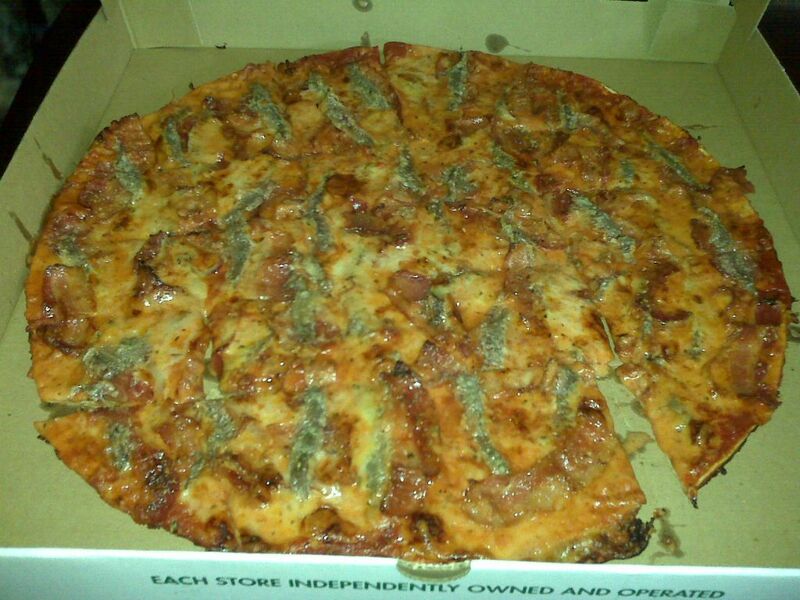 That could only be a bacon and anchovy pizza from Imo's, the square beyond compare. This is the picture of the day.